While some people suffer from occasional insomnia, there are plenty of people who suffer from insomnia on a pretty regular basis. For those of you who find that you are unable to fall asleep, or stay asleep, this can literally wreak havoc on your day to day life. Yes, it’s possible to learn to “adjust” and live with less sleep, but eventually, being constantly sleep deprived will catch up with you. All you need is one super stressful situation, one more added chore to your already jam-packed schedule, and many people find that they simply “lose it”; flying off the handle and doing or saying things they wouldn’t have if they hadn’t been so darn worn out from lack of sleep! Perhaps the worst part of this mess is that there are not very many alternatives. You can get prescription sleeping pills from your doctor, but not only are these addicting, chances are your doctor won’t give you very many. (At least a reputable doctor won’t) There have also been new studies which show that people who use sleeping pills increase their risk of sudden death. There are over the counter “sleep aids”, but these tend to stop being effective after a few weeks. If it feels like you have tried everything; yoga, exercise, meditation, relaxation CD’s, and essential oils such as lavender, you might be surprised to know that there are several types of herbal tea that work amazingly well at helping you both fall asleep and stay asleep. Which Teas Work the Best? A quick walk through any supermarket or health food store will reveal an aisle loaded with every kind of tea you can imagine. With 15 or 20 different “Bedtime Teas” to choose from, how do you know which will work the best. While you will find many different tea blends, the truth is that some teas simply work better for some people than others. There are 3 types of tea, however, that are outstanding in their field (so to speak). These have been used for centuries and are well-proven to help people fall asleep quickly. Keep reading and find out which three teas you should turn to first. Chances are pretty good that one of these is going to knock you out like a light, so you can get the rest you need. Perhaps one of the oldest and most well-known natural sleep aides of all time. Chamomile tea can be found in every supermarket, drug store, and health food store in the world. 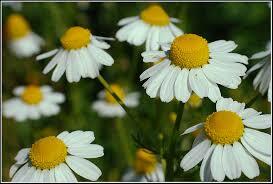 Chamomile has been found to induce sleep in humans fairly easily. It is gentle and mild, however, and some people find that it is not “strong” enough for them. 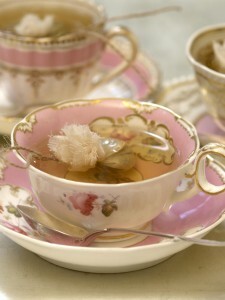 Drink one to two cups of chamomile tea about 30 to 45 minutes before bedtime. Most people find that they are quite drowsy and have no problem falling asleep. Valerian tea is another popular choice for insomnia and it, too, has been around for centuries. This plant actually has sedative compounds which are strong enough to put just about anyone out for the night. One of the great things about valerian tea is that you won’t feel groggy in the morning! One of the downfalls is that you might have to drink this tea each night for two or three weeks before you really feel the effects. 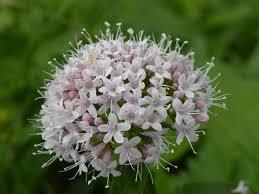 Drink one cup of valerian tea about 1 hour before bedtime. As the name implies, this tea has a natural lemon flavor that most people just adore. This tasty herbal tea is so gentle; you can even give it to children without worry. This choice is perhaps the gentlest of all the teas listed here, but many people claim that its ability to quietly lull the body to sleep makes it feel like your own natural feelings of sleepiness. Drink one to two cups one hour before bedtime. It’s best if you avoid prescription sleeping pills unless absolutely necessary. Try these natural, sleep inducing teas for some true insomnia relief you can count on.